The acoustics of your room probably have more to do with sound quality of your system than any other component, that's right - those expensive speakers can sound crap in a room with poor acoustics. Inversely mid-level equipment can be made to sing with a properly treated room. 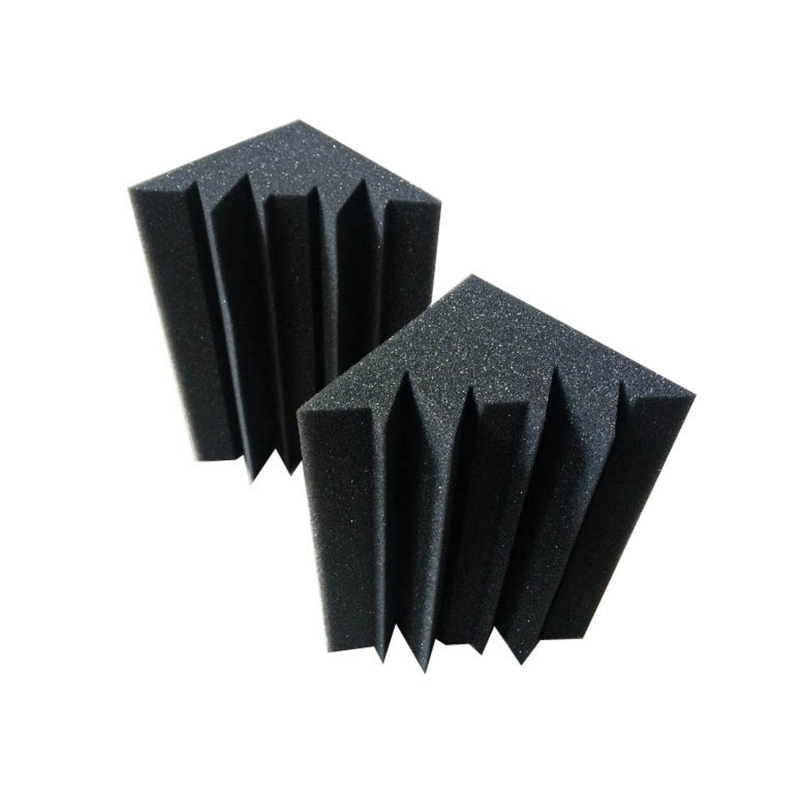 Acoustic foams are generally found as pyramid or wedge shapes. They work not only to absorb sounds, by enhancing the quality of sound and speech in a room. They are able to help tame both mid and high frequencies at the same time to minimize sound echoes and reflections which would colour or muddy the sound. By reducing the amplitude of the waves, our acoustic foam helps to dissipate the sound energy. This in turn helps the clarity of sound. Bass Traps help to trap the Bass energy to stop booming in the room. Typically we would use acoustic panels in home cinemas or dedicated stereo listening areas.